About six years ago, for about a year, I was vegan. I ate no animal products. I enjoyed it and was happy with my choice. I had read Kathy Freston's book The Lean. I moved back to Rhode Island and with the commute to Boston for work coupled with some other factors, I stepped away from it. I've been back in Texas now for the last four years and lately I've been considering moving back in that direction. 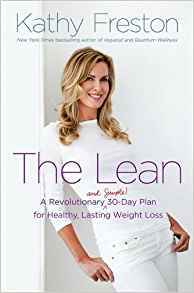 I read Jillian Harris' blog, and she eats a largely plant based diet, so I've been all kinds of inspired with ideas on what to eat and how to eliminate more meat from my diet. 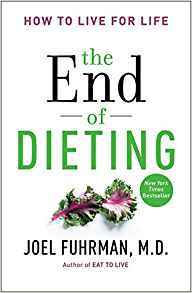 I also read The End of Dieting which also had me rethinking my choices about food and whether to start removing more meat from my diet. And then there are just more and more articles and research about how a plant based diet is good for everyone - humans, animals, and the earth. It just makes sense to me and I want to move back in that direction. Here's where it gets tricky. Phillip is a meat eater. We eat vegetarian a couple of nights a week, but by and large he would prefer chicken, turkey, or pork, and the occasional burger/steak. Dairy is not really a problem - I'm lactose intolerant so I already avoid dairy products and try to use vegan cheese and nut milks. Phillip is on board with the nut milk. Not a problem. I also am okay eliminating eggs. We don't generally share breakfast/lunch, we prepare what we want for that. Dinner is the main meal we share. There's just the two of us, it would feel odd to me to make two things for dinner, right? Do any of you out there have a different dietary lifestyle than your partner? How do you navigate that? Our lives are jam-packed right now and I'd hate to spend time cooking two dinners at night or default to veggie burgers all the time instead of chicken. Ideas, thoughts? Advice? When we first married, I was vegan and my husband was a meat eater. I never said a word about it and I made him meat things to go along with whatever else I made. I would make things that would last thru several weeknight meals so I didn't have to make something new every night. (Like a turkey loaf...I'd wear gloves and turned my head away while mixing it up for fear I'd yack.) I just made sure my veggie items were totally delish. And eventually he said he'd like to be vegan at home and would eat meat if he wanted it out. After a year or so of that, he went vegan on Thanksgiving day. That was 20 years ago. :) We are both in our 40s now and often get told we look a decade younger than our actual ages. I can't imagine ever going back to eating meat. One of his favorite meals I make is super easy. Morningstar Farms grillers prime burgers over mashed potatoes with gravy and roasted broccoli and portabella mushrooms. It's hearty and filling and makes great leftovers as well.